Managing rental property is really about managing people—and since there are all kinds of people, you’ll be dealing with all kinds of unusual and interesting requests from tenants. Just when you think you’ve heard them all, a new tenant will ask for a favor, or a prospective tenant discloses something you’ve never dealt with. A prospective tenant intends to run a daycare from your property: You’ll definitely want to run this by your insurance company and possibly even your attorney. In case of injury, any liability could be considered shared between you and the day care provider. You may not reject their application solely for this reason in certain states. Check your local and state laws to protect yourself. If everything checks out and you feel comfortable with the situation, you’ll also want to check your local zoning laws, and require your tenant to hold liability insurance with yourself named as additional insured. On the flip side: you discover a tenant is running a daycare without your permission: If the tenant did not disclose the business up front, you may have grounds for eviction. A new tenant wants to prepay a year’s rent: At first glance, this might not seem like a problem. But you should definitely check out the tenant’s income source by running a background screen. If they have legitimate income and otherwise pass the screening, you might want to consider the request. But don’t spend it all at once—six months down the road, they may decide to move! If you allow pets in your units, should you allow a pit bull? Check with your insurance company. They usually have a list of “vicious” dogs that are not allowed under their coverage. Even if the dog is friendly and well-behaved, if your insurance company says “no,” you should, too. If you don’t allow pets, what about a seeing eye dog? We’ve covered this topic in this blog before. Service animals are not considered pets, and are not subject to pet restrictions. If you do allow pets, should you charge a pet deposit for a service animal? While you are certainly allowed to, most landlords do not. Again, since service animals are not considered pets, your normal pet rules do not apply. Determining how much rent to charge is not easy. How do you know what your market will bear? Since your goal as a landlord is to make a profit on your rental properties, you want to get as much as possible, right? Setting rent too low will decrease your chance to make a profit. But setting it too high could chase tenants away—and an unleased property won’t make you any profit, either! You want to be like Goldilocks when setting rent: not too high, not too low—you want to set it so that it’s just right! Some easy ways to determine what your local rental market will bear is to ask real estate agents, read the local advertisements, or look at Craigslist.com. You can also find out what the Fair Market Rent for your area is. Fair Market Rent refers to the amount of money a property will lease for. It is determined by a number of variable factors, such as location, local economic conditions, market need, and the community cost of living. The U.S. Department of Housing and Urban Development (HUD) uses Fair Market Rent (FMR) values to determine the eligibility of rental housing units for housing assistance, known as Section 8 payments. The values are designed to be high enough to ensure an adequate supply of rental units, but low enough to serve as many families as possible. 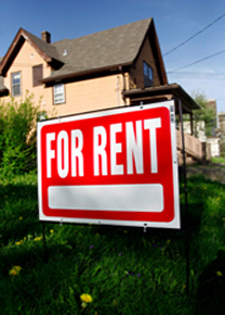 Landlords can use FMR to determine the amount to charge for a rental unit. Setting rent at or slightly below FMR is smart because a fair rent will draw tenants—who usually know the market they live in and will not be willing to pay above-market rents. Fair market rents also indicate whether a rental market is appreciating or declining in value, which can help prospective income property owners decide where to invest. HUD publishes the Fair Market Rents for every metropolitan area in the United States, which is accessible on their website: http://www.huduser.org. Landlords can also check out rentometer.com, which uses a proprietary algorithm to tell you if the rent you are charging for a property is too low, way too high, or reasonable. Just enter the address, number of bedrooms, and rent you are considering, and you’ll get an idea of what other units in the neighborhood are renting for. Doing your homework before setting the rent for your rental property will help ensure both profits and tenants! Now that we’re in the middle of summer, some of you might be wondering how to handle taking care of the outside of your rental property. Whose responsibility is it to mow the lawn and trim the shrubs? Landlord or tenant? Multi-unit building: Most agree it’s up to the landlord to maintain the common areas in an apartment complex. Duplex: Our poll shows a majority requiring the tenants to keep up the lawn. Each tenant can be responsible for their half of a side-by-side; two-story tenants can take care of either the front yard or back yard. Single Family Residences: These lawns are the tenant’s responsibility in almost all cases. Some landlords will supply the lawn mower (but certainly not the gas!). Be aware of two important facts: 1. You are incurring liability if you do supply a lawn mower for tenant’s use; and 2. If it’s a cheap one—it will break down. Hiring a Service: Lots of landlords, especially those with multiple properties, hire a landscaping and lawn service to take away the hassle of mowing lawns or making sure their tenants do. Most add the cost into the rent. 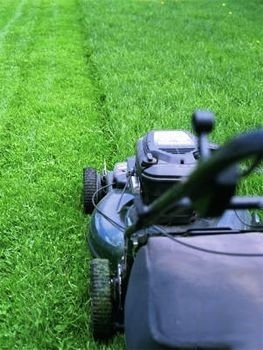 Landlords Who Mow: Many landlords replied that they mow their own lawns, either because that’s how it’s done in their area, or because it gives them an opportunity to check on their properties. Good idea! While it could be a major time consumer for you, it could make things easier overall—no issues with enforcing your rules! Lease Language: If you expect your tenants to mow their own lawns, you must say so in your lease agreement. You can include language stating that if the tenant fails to keep the lawn mowed according to your wishes, you reserve the right to hire a professional and charge it to the tenant. Whether you mow your tenant’s lawn or require them to do so, landscape maintenance is constant issue–and can be a major headache–for most landlords. Whether you’re an experienced landlord, or a “newbie,” you probably have your share of missteps made in your rental property business. And while some landlords make the same mistakes over and over again, you don’t have to be that guy or gal. We’ve rounded up a list of common landlord mistakes so you can avoid them! 2. Being too lenient on rent collection. Your tenants signed an agreement to pay you on a certain date. Don’t allow late or partial rent, or they will know you’re not serious about the due date. See mistake #1. 3. Failure to prescreen tenants. Don’t be in a hurry to fill a vacancy, or you could end up with an unreliable tenant—which is a much bigger problem than an empty unit. 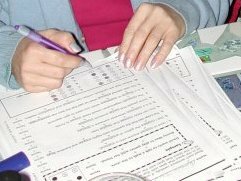 Have your employment checks, background checks and credit checks in hand before you sign a lease with any tenant. 4. Lack of understanding about operating expenses. There is more to owning rental property than collecting rent and paying the basics: principle, interest, taxes, and insurance. If you don’t have sufficient resources to cover regular expenses (maintenance, advertising, repairs) PLUS accessible funds to cover the occasional (but inevitable) major repairs, you are setting yourself up for failure. 5. Trying to do everything yourself. If you have only one or two properties to manage, you might be able to handle rent collection and upkeep. Still, you might need a handyman for maintenance. But if you have more than three rental properties, consider hiring a property management company for tenant screening and placement, upkeep, rent collection, maintenance, etc. Ask yourself what your time is worth. You may find the expense of a management company is well worth your freedom from stress. 6. Not having an exit strategy. Before you buy an income property, do your homework—including how easy or difficult it will be to sell when you need or want to. You never know when you’ll want out of a rental property, but the likelihood is that you will sell eventually. 7. Not evicting non-paying tenants immediately. Even if you properly screen tenants, anything can happen. If your tenants break the rental agreement by not paying on time, you can—and should—take the proper legal steps for eviction. See mistakes #1 and #2. 8. Being a hands-off landlord. Although you may have a property management company, no one will care about your rental properties like you do. 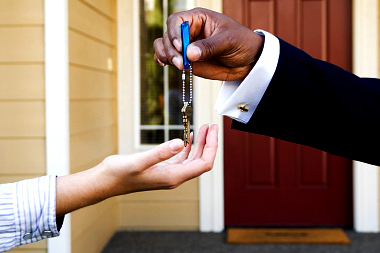 At the very least, inspect your properties on a regular basis and stay in touch with your tenants. You’ll probably prevent a lot of damage and trouble just by following this simple step. In a college town, chances are you could fill your rental properties with students if you chose to. What are the advantages and disadvantages of leasing to college students? What should you look out for? Students can be good tenants, or bad tenants—just like the rest of the population. They are also willing to pay top dollar in many cases. If you are clear with college students and let them know your expectations, you can be a successful college student landlord! 1. Do make sure you have an iron-clad lease. Have a lease or real estate attorney draw it up for you. 2. Do specify that each individual tenant is responsible for the entire rent. Then, if one moves out, the remaining roommates cannot claim they don’t that person’s share. 3. Do remember that the security deposit won’t cover the potential damage that can be done to your property. Make sure the lease assigns responsibility for damages and losses. 4. Do consider the extra maintenance or repair costs when establishing your rent. Repainting, and replacing carpet and more often, as well as repairing damages, should be considered standard operating procedure. 5. Do specify noise restrictions in the lease. College students like to party, and even small gatherings can become out-of-control in no time at all. Let your prospective student-tenants know that if the police are called to your property due to noise complaints, it is grounds for eviction. 6. Don’t allow “squatters.” If your tenants want to have overnight guests, enforce a 7-day (or however many you deem reasonable) limit. 7. Do specify lease dates: is the lease period for the school year or for a 12-month period? Students might think “one year” means August – May! Be sure the tenant knows the number of months they are responsible for paying rent. 8. Don’t allow anyone who is not on the lease to live in the rental unit. Period. You have no protection against their actions if they have no binding lease agreement with you. 9. Do prescreen all applicants to verify employment history, criminal history, and credit history. 10. Don’t allow the students alone to sign the lease. Require co-signers, such as their parents, and conduct proper credit screening on co-signers, as well—before you offer to lease your property. 11. Don’t hesitate to call the co-signers/parents at the first sign of trouble. 12. Do keep the communication open with your tenants—if they’re late, follow up immediately, from day one, to break bad habits. And, if they’re respectful, clean, and quiet (hey, it could happen! ), let them know you appreciate it. 13. Do check your local zoning laws for maximum number of residents allowed in a housing unit—but if you follow suggestion #1, your lawyer will know for sure! From time to time, we get a handful of rental property-related questions that concern many landlords—but don’t fall neatly into any category. We hope you find one or two that you’ve been wondering about, too! Q: My rental unit has a jetted tub. If it breaks, am I responsible for repairing it—or replacing it with the same type tub? A: You might want to consider adding a clause in your lease agreement that states the jetted tub is as is; the tub itself will be maintained for bathing purposes; however, if the jets malfunction, they will be repaired at your discretion only. Q: I live in a city where only the owner of the property can be billed for the water and sewer service. How can I handle this with my tenants? I’m afraid they’ll run up the water bill, since they’re not paying it. A:	Your lease can state that you will pay for a certain amount of the water and sewer, based on average rates in your area. The lease can require the tenant to pay anything above that amount, to be included with the following month’s rent. Q: Is it necessary to prescreen tenant applicants if they were referred by a good friend of mine? A: Not only is it necessary, it is the most important thing you can do to protect yourself, your other tenants and the neighborhood residents. You need the peace of mind that a professional credit and background check will bring you. But just as important, if you don’t follow consistent procedures for each applicant, you could be accused of discrimination. Apply the same rules and follow the same procedures on every single tenant applicant—no matter who recommends them! Q: What’s the absolute most effective way to advertise my for lease property? A: Landlords we talk to say that good signs in the yard or window, visible from the street, plus an ad with photos on Craigslist.com, are the two best ways to advertise. Do beware of scams on Craigslist—read the warnings posted on the site and don’t allow anyone you have not personally met send you a check to hold a rental—many scammers operate like this. Q: What should I do to make my rental property appealing to high-quality tenants? A: Give your rental the best curb appeal possible! Get rid of unsightly trash, hide the trash cans, trim shrubs and low-hanging branches, and plant some new flowers. Repair any broken windows or screens, and paint the trim if it’s needed. A bright color for the front door is a great way to make the property pop! Q: How do I know when it’s time to hire a property management company? A: If you no longer enjoy or have the time to spend on property maintenance, dealing with tenant questions and problems, and finding new tenants, you should research property managers. Base your decision on the out-of-pocket expense; if you decide your time and peace of mind is worth more than what you’ll pay the management company, give it a try! Zilpy is a address-based rental facts site. Zilpy for Landlords helps landlords determine how much a property can rent for simply by plugging in its address. Zilpy generates comparable rents, as well as demographic information about the neighborhood and city. Figures include population, median household income, education and ethnicity, and crime rate. RealEstateMarketingBlog.org is targeted more toward real estate agents, but many of its insights are applicable to landlords, too. Especially if you manage several properties, REMB’s advertising and social media tips can be translated for renting, rather than selling, homes. From Search Engine Optimization to email marketing, you’re sure to find useful information to help you stay competitive in today’s rental market. Craigslist.org is arguably the web’s largest classified ads site. There is a lot to like about craigslist! All classified ads are free, photos can be uploaded at no charge, and it’s extremely popular! Craigslist is organized by city; just check out the main website to see if your town has a local craigslist site. Then follow the instructions to post your “For Lease” ads. And if you need to replace appliances in your rental unit, craigslist is a great resource! Angie’s List is a popular review site for contractors, handymen, plumbers, and other service providers. Angie’s list is a paid, members-only site. For a monthly fee, you can check out unbiased reviews by other members. Contractors are not allowed to pay to be featured in any way. If there are no reviews for your city, you can join free for a year and help build the list of reviews in your area. Bankrate.com is chock full of mortgage, CD, credit card, and loan rates, along with articles covering current happenings in the financial world. There are even advice columns covering small business, retirement planning, financial literacy, and debt management. It’s always good to know what’s happening in the credit and mortgage industry—and bankrate.com is a good place to keep up! BiggerPockets is an online community for real estate investors and professionals. It offers groups, networking, and information, and membership is free. You can post questions in the forums and search by keywords to see if your question has already been answered. Handy tips, advice, and a place for landlords to talk to other landlords make BiggerPockets a lively online community.